Do you deliver cold or warm meals? Our menus are designed to be eaten cold. But if you want, you can also warm up your food. Do you only deliver to the specified pick-up stations? No. You can specify your own delivery address within our delivery route and we will take the food to where you are. *Zurich City, Altstetten, Schlieren, Oerlikon, Wallisellen, Kloten, Dübendorf, Dietlikon For public pick-up stations, i.e. those at which anyone may place an order, we will cancel the delivery costs without exception. Can I also order on account? Yes. Prerequisite you order at least 5 menus. You can place your order by phone or via mail. How long do the menus last? Delivery times are between 11:00 and 12:15 o'clock. The menus can be kept for 2 days in the refrigerator. **Since we use biodegradable packaging, this packaging may soften slightly depending on the ingredient. When are the order and delivery times ? For individual menus you can order daily until 10:45 am. 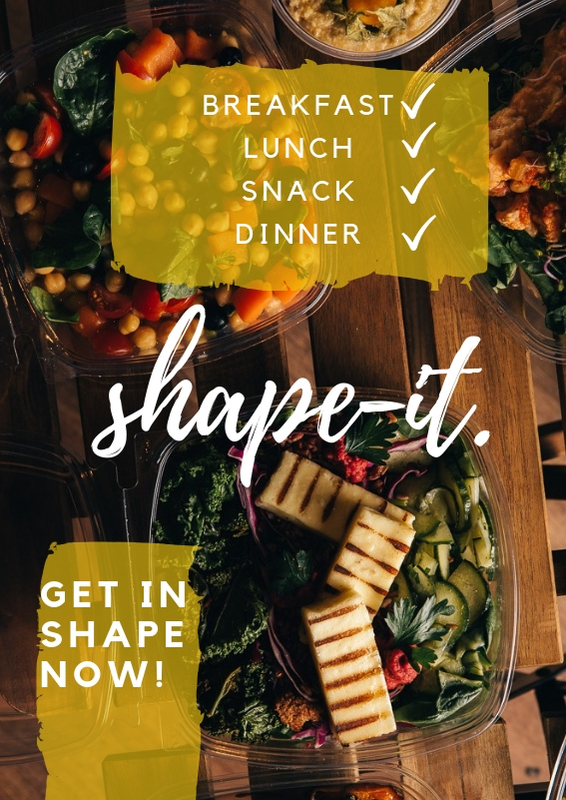 With a Shape-it subscription, the customer must order online by Thursday at 9 p.m. so that we can order all ingredients for the following week. How does the Shape-it work? Do you guys do catering? Yes. Please contact us for further information. On our website you will find the button catering. You can fill in the form. Do you also have Vegi or Vegane menus? Yes. From both we have at least 1 menu a week. The Shape-it (link) is also available in a vegan version. Do you also have gluten-free menus? Now and then. Unfortunately not yet continuous. We always try to create menus, whereby we can cook without gluten-containing ingredients. All menus contain an indication under *Allergies whether it has gluten.